At IBC 2017, Indiecam is launching a brand new camera called the nakedEYE S4, which can capture 6K 360 video in CinemaDNG RAW format. Indiecam announced that they would be launching the nakedEYE S4, a brand new camera that will have four cameras with global shutters yet will be “amazingly small.” The S4 will record 360 video in 12bit CinemaDNG RAW format with 6K resolution. Indiecam hasn’t revealed what the S4 will look like, but I’m guessing it will look like their current nakedEYE camera, but with four lenses instead of two. 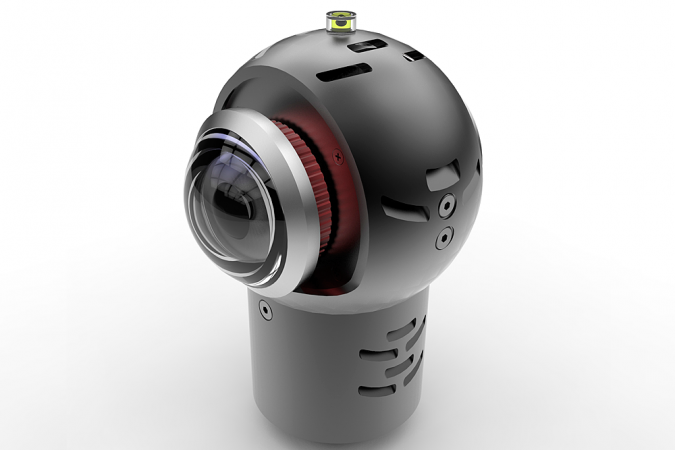 nakedEYE is a small professional 360 camera with two lenses, not much larger than the Samsung Gear 360, but with 2/3-inch size sensors that are each approximately twice the surface area of a 1/2.3-inch sensor commonly used in consumer 360 cameras. nakedEYE features global shutters and records 4K 360 video in 12-bit Cinema DNG RAW format. Its small size reduces parallax stitching error, and enables it to be used in some situations where a larger 360 rig cannot be used. 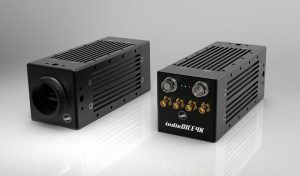 In addition to launching the nakedEYE S4, Indiecam will also launch the indieDICE 4K, a small camera with 2/3-inch size sensors which can be used for POV shots due to its compact size, and can be used for a 360 rig. You can check out Indiecam at IBC 2017 at booth G53 in Hall 12. Thank you very much to Svend Even Hærra for bringing this to my attention!